4 × = 24 Required Please enter the correct value. The Dow Jones Industrial Average fell 66 points in pre-market trading as rising interest rates continue to weigh on investor sentiment. This morning, markets will see how rising rates and the stronger U.S. dollar have impacted two critical economic indicators: monthly mortgage applications and the producer price index (PPI). Yesterday, the 10-year Treasury bonds dipped from a seven-year high, while the 30-year bonds topped their highest level since 2014. At a rally in Iowa last night, U.S. President Donald Trump once again criticized the Federal Reserve over monetary policy. President Trump suggested that the Fed's efforts to raise rates could slow down the economy and suggested that there were few signs of inflation. Last month, the Fed raised rates for the third time in 2018 and hiked its economic growth forecast for this year and next year. Investors anticipate that rates will rise one more time this year. Oil prices are pressing higher Wednesday as two bullish factors ignite trader sentiment. First, the crude production in the Gulf of Mexico is experiencing a partial shutdown in preparation for Hurricane Michael. Second, Iranian exports are declining ahead of U.S. sanctions on the Middle Eastern producer. This morning, WTI crude hit $75.00 per barrel, while Brent crude rose to $85.02 per barrel. Cracks in the U.S. housing market are starting to form. Yesterday, housebuilder D.R. Horton Inc. (NYSE: DHI) issued a fiscal 2018 forecast, and the numbers were below Wall Street expectations. The housebuilder said that sales and orders are lower than expected thanks to rising mortgage rates, which have increased borrowing costs and limited access to capital for many would-be buyers. An uptick in materials costs and higher labor costs have forced the company and many of its rivals to increase the price of homes at a time that they are less affordable. D.R. Horton will likely report earnings in November. I need you to meet Tim Melvin. Over the last five years, he's issued 119 trades with 0 realized losses. All of his 32 closed positions have been winners. And as of Aug. 8, 85 of his 87 open positions are up in price. If you're serious about making money… if you want to live the life you've always dreamed… then it's time to step up. Alphabet Inc. (NASDAQ: GOOGL) leads tech headlines Wednesday as the company will unveil the third iteration of its Pixel smartphone, its first tablet computer, and the Google Home smart speaker. The race into the tablet space takes direct aim at rival Apple Inc. (NASDAQ: AAPL). Shares of GOOGL were flat in pre-market hours. 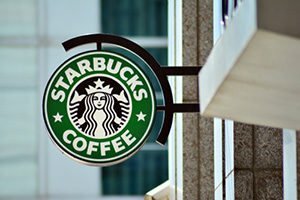 Shares of Starbucks Corp. (NASDAQ: SBUX) are on the move after hedge fund manager Bill Ackman announced a stake in the coffee house giant. Ackman has taken a $900 million stake in the company, and predicts that shares could double within the next three years. The position adds to Ackman's growing portfolio of food and beverage companies that includes Chipotle Mexican Grill Inc. (NYSE: CMG), Restaurant Brands International Inc. (NYSE: QSR), and Mondelez International Inc. (NASDAQ: MDLZ). The death of retail is set to claim its latest victim. According to The Wall Street Journal, Sears Holding Corp. (NASDAQ: SHLD) is preparing to file for bankruptcy as soon as next week. A bankruptcy filing would make it possible for the company to slowly strip away assets. The firm reportedly hired a bankruptcy firm to assist with proceedings. The news comes on speculation that the firm will not be able to meet its $134 million debt payment due this coming Monday. The Trump administration is back to picking winners and losers in its trade war with countries around the globe. Procter & Gamble Co. (NYSE: PG) is now exempt from 25% tariffs on imported steel used in its Gillette and Venus razor blades. The Commerce Department awarded the exemption four months after P&G's largest rival – Edgewell Personal Care – received an exemption for their products. Look for an earnings report from Fastenal Co. (NASDAQ: FAST). Wall Street expects that the tool giant will report earnings per share of $0.67 on top of $1.27 billion in revenue.